Dental implants are a permanent and appealing solution to replace missing or extracted teeth. They are better than other alternatives, such as bridges or partial dentures, because no additional teeth need to be altered to place the new tooth. This allows for a more natural-looking appearance and restores function to the missing space. The entire implant process is performed over the course of a few months. The first part of the process is to install the implant itself. The implant, which is made of strong, lightweight titanium with threads to enhance integration with the surrounding bone, is placed by a recommended oral surgeon. Multiple implants can be placed at once if necessary. Once the implant is placed, a healing cap is inserted into the implant to allow proper shaping of the surrounding gum tissue. 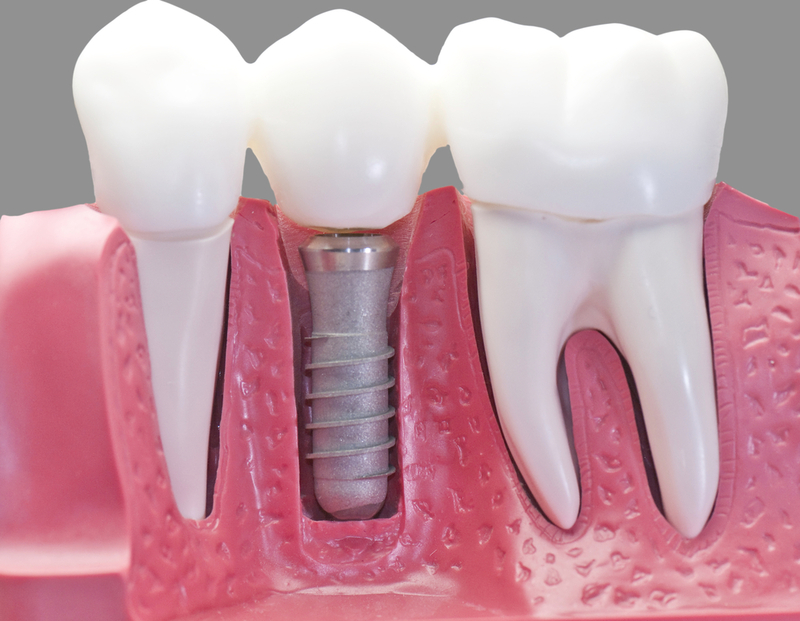 After the implant has healed (usually three to four months), an impression is taken of the implant area This impression will be sent to an outside lab for fabrication of your custom restoration, which consists of an abutment base and overlying crown. Once the restoration is completed, you will return to the office to attach the abutment and crown. Your smile will look like it used to (or even better)! For answers to our most commonly asked questions, please click here.